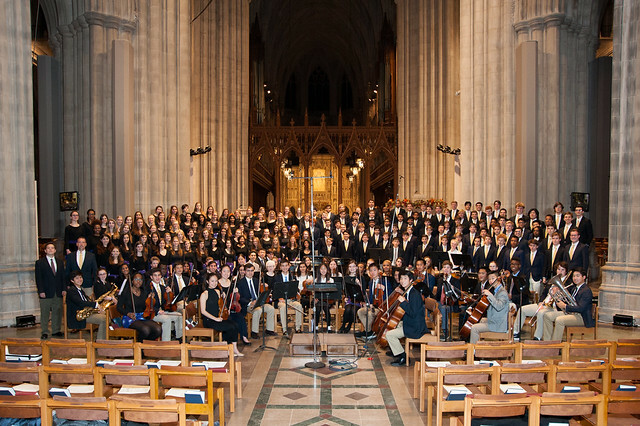 More than 200 NCS-STA students in the Chorale, Orchestra, Madrigal Singers, and a cappella groups joined together for an evening of music at the annual Upper School Fall Concert. They performed a wide variety of music styles and periods, including gospel, folk, pop, and works by Copland, Dvořák, and Rachmaninoff. A highlight of this year’s concert was the premiere of a symphonic movement composed by an STA student and conducted by an NCS student.